[toc]Carrying around a headache with you can most definitely put a dent on your day. Sinus headaches aren’t something to enjoy whether they are caused by tension or are a part of migraines. 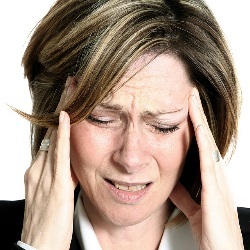 There are situations where sinus headaches often turn into a debilitating and chronic problem. There are a multitude of reasons why people suffer from headaches, but people can learn how to avoid these painful headaches if they figure out the cause. A headache will be endured by almost 96% of people at some point. This isn’t a shocker to those who suffer from migraine headaches on a regular basis or those who have had the urge to pull off their throbbing head after going through a stressful day. The number one cause of sinus headaches is stress due to which managing it is essential. Avoiding stress completely is next to impossible. Therefore, stress management techniques have been introduced, which include deep breathing, progressive relaxation, yoga, massage and visualization. Headache prevention is possible when using these techniques to de-stress. Not only can fitness be improved with regular exercises, but tension headaches can also be avoided because it reduces stress. Nonetheless, headaches can also be triggered by over-exercising so people should practice moderate and regular exercise. A nasty sinus pain trigger might be hidden amongst those irresistible and delicious hors d’oeuvres. Sulfites are present in majority of the foods that are dried, pickled, smoked or aged, which includes salami and cheese. These items can dilate the blood vessels and thus become a trigger for headaches. Instead of consuming them, it is best for people to opt for fresh fruits and veggies. Another way to prevent sinus headaches is to establish a proper and regular pattern of sleep that has proper wake-up and bedtimes. When the sleeping pattern is changed by people on weekends, they may suffer from headaches. The headache can also be caused because of lack of or too little sleep in the situation where people sleep for less than 6 hours daily. Blood sugar is reduced when a meal is skipped and this can lead to a headache so hunger should be avoided. 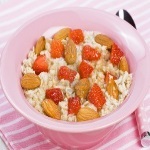 A poor diet that’s composed of sweets can actually worsen the headache. A sharp rise in blood sugar might be caused by these foods, but it bottoms out eventually. Take well-balanced meals, which comprise of complex carbohydrates and protein for the purpose of stabilizing blood sugar. Headaches can also be triggered by dehydration so drinking fluids and mostly water is recommended. Alcohol and cold caffeinated beverages shouldn’t be relied upon for hydration because they actually cause dehydration. Water should be consumed throughout the day even if they don’t feel thirsty. People are usually moderately dehydrated when they actually feel thirsty. It is even worse for people to suffer from a headache of a beautiful sunny day. However, the brain’s thalamus can be messed up because of the sunshine and this can send pain signals to the entire body. Polarized sunglasses should be purchased to prevent this side effect and they should be ready to offer UVB/UVA protection immediately. This doesn’t come as a surprise at all. The eyes can become strained quite easily when individuals will spend most of the day staring at a bright screen. This can also cause the brain to ache. Furthermore, the nerves in the eyes and the retina will become activated because of the constant flashing screen and also when people toggle between Facebook and YouTube regularly. This is another cause of major sinus headaches. People can stave this problem off by taking a break for every hour they opt to remain online. The consumption of alcohol and caffeine should be monitored carefully. A headache can occur when there is a dramatic increase or decrease in the intake of caffeine. If people wish to cut down, they should do so slowly and gradually instead of an abrupt change in the consumption amount. In addition, another trigger for headaches is alcohol. 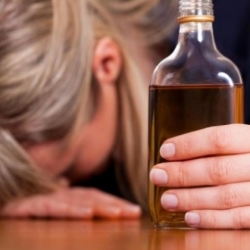 If people drink alcohol habitually, they shouldn’t exceed the moderate level. This level is about 1 to 2 drinks on a daily basis and has been defined by the Centers for Disease Control and Prevention. Using these remedies can aid in preventing painful headaches in the future.